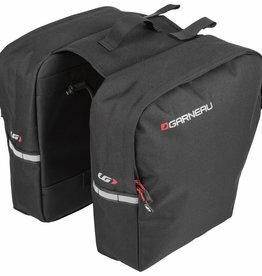 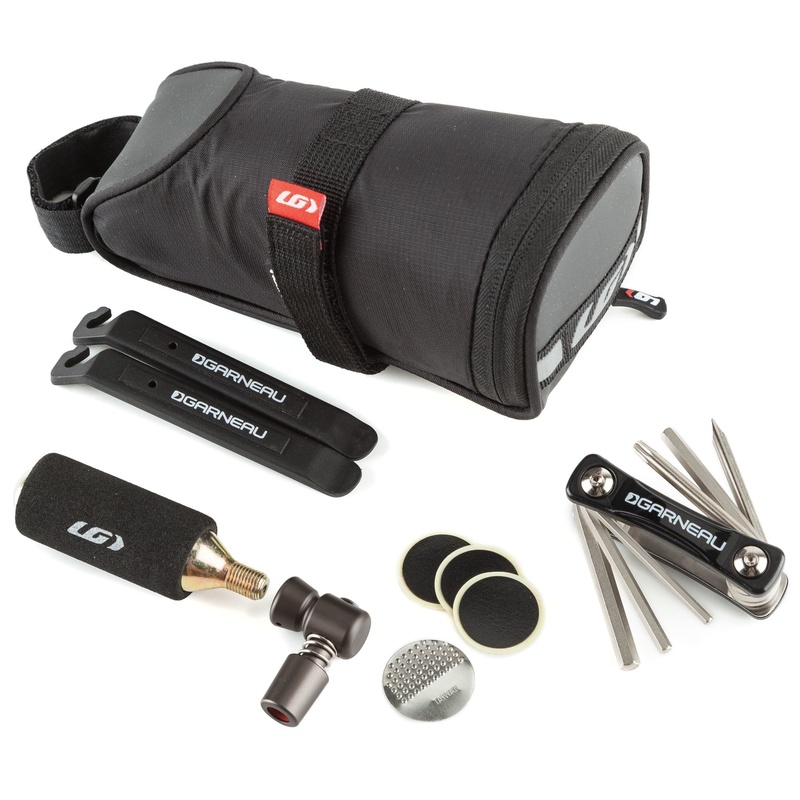 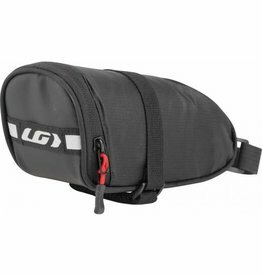 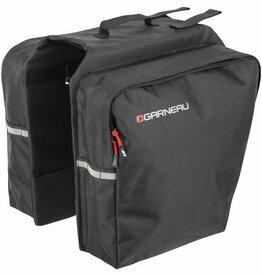 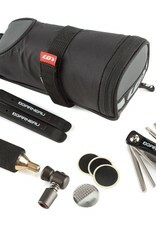 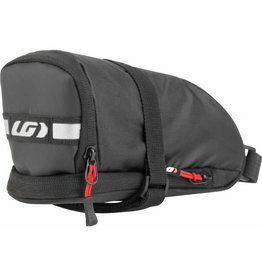 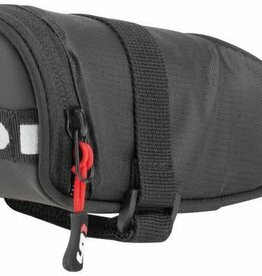 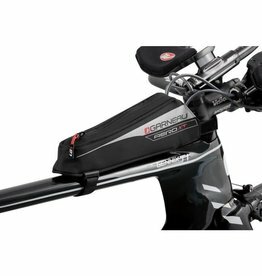 The Elite Saddlebag kit conveniently stores everything you need for a roadside flat and the occasional quick repair. 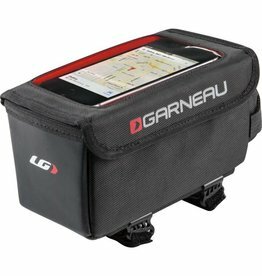 It stores conveniently under the saddle and includes a set of tire levers, CO2 cartridge and applicator, three patches, and a multi-tool. 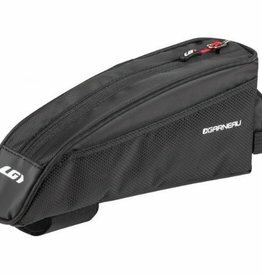 Hook and loop closure system makes it easy to attach to the seatpost and saddle, and it's black and grey aesthetics allows for the ultimate in color coordination.